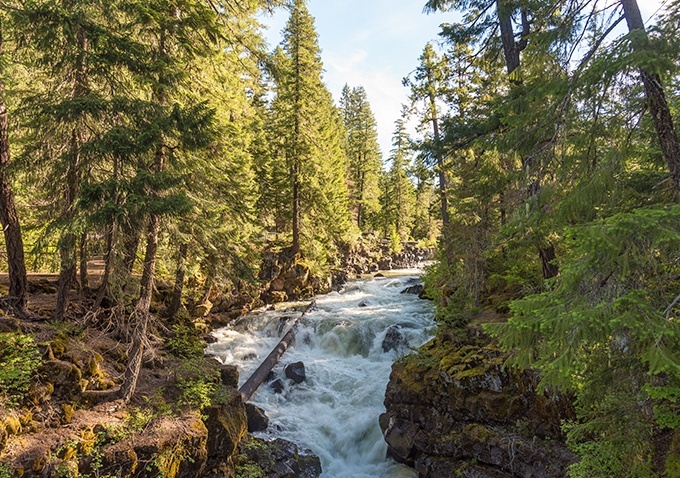 Covering 628,443 acres in five counties in southern Oregon and northern California, the Rogue River-Siskiyou National Forest offers boundless opportunities for exciting outdoor adventures in one of the world's most diverse ecosystems. From white water kayaking and rafting to salmon and trout fishing, horseback riding, snowmobiling and skiing in Mt. Ashland, hiking and mountain biking, no matter what your skills or abilities, there is always an adventure just around the bend. Come take a look and you might even see spy a rare Green Sturgeon or Black Bear on the Rogue River shores. Let out your inner rogue and jump into the great outdoors with a visit to the Siskiyou National Forest today. Call (541) 247-3600 for specific park hours. Do I need to pay any fees to hike Sisikiyou National Forest? A No, you do not have to pay a fee to hike in the Sisikiyou National Forest. However, other activities, such as camping, rental cabins, skiing and more may require fees or permits. Please visit the website to see if your planned activity is free. What are the day hiking areas at Sisikiyou National Forest? A In the Sisikiyou National Forest there are 13 Ranger Districts and Wilderness areas that have well over 100 day-hiking trails and campgrounds. Please visit the Day Hiking page on the website to view and learn more about them.